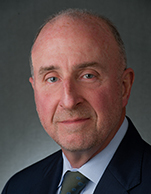 Ted Jadick is currently the President and CEO of DNB Markets, Inc., a fully registered broker dealer in the U.S. and a wholly owned subsidiary of DNB Bank ASA, Oslo, Norway. Ted has held this position for the past 5 1/2 years. DNB Markets, Inc. provides a full range of investment banking and securities sales and trading products and services to corporate clients within the Shipping, Oilfield Service and integrated Energy sectors and to major U.S. and Canadian institutional investors. The firm is headquartered in New York, NY and maintains branch offices in Houston and London. Prior to his current role, Ted spent 20 years as a shipping finance banker in DNB Bank's Shipping, Offshore & Logistics Division including stints in New York, Athens, Oslo and London. His last role in the Bank prior to joining the broker dealer was that of head of all international shipping finance activities based in London.